Many of us would choose warmer seasons, like spring or summer, as our favorites. While winter might bring cold weather and less daylight, we definitely don’t appreciate this season enough. We certainly cannot deny, though, that there are plenty of fun activities to enjoy during winter time. Of course, the season of Christmas trees and holiday parties sometimes offers us the best excuses to stay indoors and enjoy quality time with each other. Winter really is a season for everyone. Here are 5 reasons why winter is definitely the best time of year. We all know that feeling of excitement and anticipation we have when a loved one is opening the present we searched so hard to find them right in front of our eyes. And, in which season do we get to share moments like these? Winter, of course! The winter season is full of office parties, family reunions, and friends getting together. It is not hard to understand the reason behind these traditions, either. As we approach the end of another year, we celebrate with the people who matter most to us. And, giving and receiving gifts makes the season even more fun. For most of us, winter is the only time of the year when temperatures drop so low that rain turns into snow, and everything around us turns into a winter wonderland. 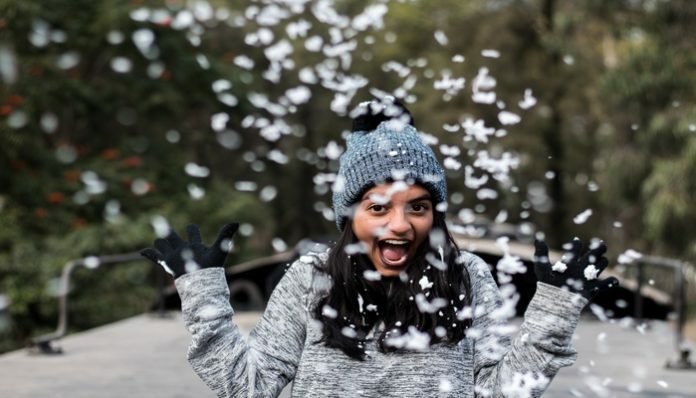 I don’t know about you, by whenever the first snowflakes appear in the sky, I get super excited and release my inner child. In winter, we tend to feel like children again. We have so many good memories attached to this season. Also, those snowy delights only happen during one season of the year. I mean, have you ever observed how unique snowflakes are? They are beautiful, truly mesmerizing, and hands-down, one of the best parts of winter. Meet Me At The Christmas Market! Although they originally began in Germany, Christmas markets have now taken over the world… which isn’t surprising at all. They offer good food and hot drinks, beautiful fairy lights and lots of holiday cheer. Christmas markets are like real-life Hallmark Christmas movies come to life. Also, for those of us who don’t particularly enjoy hosting parties at our own houses, a Christmas market is a great place to meet up with friends and catch up over hot chocolate or mulled wine. Yum! Another seasonal plus is that we can wear all of our favorite winter sweaters, scarves, hats, and booties. While other seasons require only a few simple items of clothing, winter is the perfect excuse to go nuts with our style. We can create multiple, fashionable layers to keep us warm. It might be hard to move around or turn our heads sometimes. But we all look so adorable when we’re walking through the snow, all bundled up. The absolute best part of wintertime is the sheer number of parties we get to attend. Whether it’s a Christmas get-together or a New Year’s shindig, people will always find excuses to beat the weather outside and meet up for drinks. Basically, winter is just one big, extended party. It certainly does not hurt that cities all over the world have beautiful lights for us to admire, and some places even organize their own festivities and winter parades. This might be why as soon as January comes, we all get the blues – all the glittery fun is over. Even though most people think that winter is a harsh season, there’s so much to love about this time of year. We have to take care of ourselves and do our best to stay away from the flu. We have to go to work even if the snow has covered the streets entirely and we cannot find our cars. This season certainly makes up for shoveling snow and fighting off illness by bringing us celebrations and opportunities to create memories. which we will hold onto and cherish the seasonal joy until the next winter comes. Featured Photo by Daniel Silva Gaxiola on Unsplash.